Yes, my brother is a Baron. 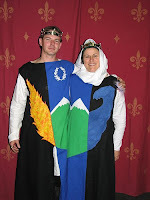 On March 8th, He and his wife were installed as the Baron and Baroness of Ered Sul. They are in charge of a mini city in itself, which encompasses 4 counties in Northern Arizona. He is also a Bard and writes and performs songs to entertain the masses. Plus, he does all the sword fighting and battles. His Excellency has been a member of the Society for Creative Anachronisms (SCA) for the past twenty years or so. My parents, who live in Arizona, attended the Investiture ceremony, given ceremonial garb to wear and presented to the court. It's that time of year and Callapidder Days is hosting Spring Reading Thing 2008. I learned my lesson from the fall reading challenge and decided not to go overboard with my choice of books. 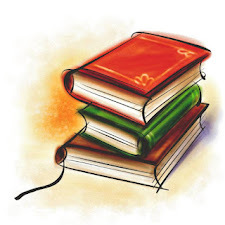 During the last challenge, I discovered so many new and interesting books, like the Twilight Series, that I didn't get through my list. Books I had chosen seemed dry and pale in comparison to the new discoveries and I lost interest in my chosen books. So I'll start with just a few and may add more as time goes on. 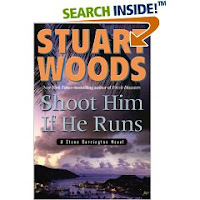 There are certain authors I have fallen in love with over the years: Bodie Thoene, Dee Henderson, Ted Dekker, Frank Peretti, Wayne Thomas Batson, Stuart Woods, Dale Brown, Terri Blackstock and John Grisham to name a few. Once I discover an author I like, I devour all their books. I'm enamored with Nora Roberts right now. 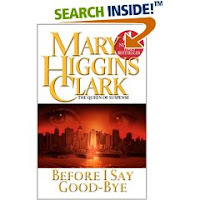 Her trilogies are well written and leave you with such a warm, happy feeling at the end. I've read the Irish Trilogy twice now. The characters grow on you and you don't want the stories to end. She also writes under the pseudonym of J.D. Robb about a futuristic female homicide cop which are also quite interesting. So, even though a few of her books may be on my list, more will be read and possibly reviewed. Nora Roberts: Montana Sky, Divine Evil and High Noon. 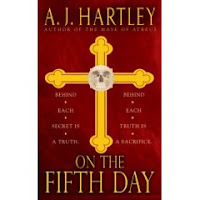 On The Fifth Day by A.J. Hartley (used book store find) Mystery Thriller: "Thomas Knight confronts a church conspiracy of silence surrounding the death of his brother, Father Edward Knight, while on a research trip in the Philippines." 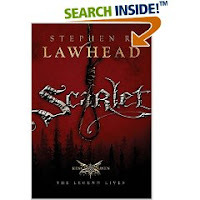 Scarlet (book 2 of the King Raven Trilogy) by Stephen Lawhead: "Scarlet continues the saga that began with the novel Hood, which relocated the legend of Robin Hood to the Welsh countryside and its dark forests. 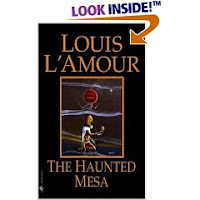 Haunted Mesa by Louis L'Amour (another used book store find. However this one was free. The used book store by our business has started throwing out books they don't want in the box crusher out behind the building and Father has been "rescuing" them. Doesn't make sense why he is throwing out some books when they are in perfectly good shape. His loss, our gain.) The reason Father picked out the book for me was years ago I used to have a t-shirt with a picture of L'Amour riding a horse and smoking a cigarette. I had totally forgotten about that shirt - it has long since gone to the rag pile, but the book reminded him of the shirt. 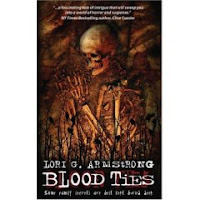 Blood Ties by Lori G. Armstrong: Murder Mystery. New author I discovered while stumbling around internet land. Relative newcomer and her first novel published in 2005. Fine out more about lori at her blog - First Offenders. 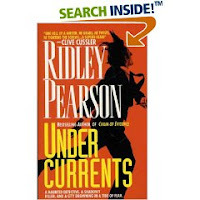 Undercurrents by Ridley Pearson: Read about Pearson in Writers Digest Magazine and decided to check him out. 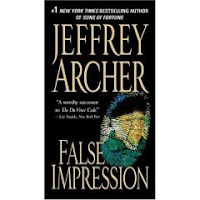 False Impression by Jeffrey Archer: This murder mystery is typical Archer with convoluted plots and many characters. 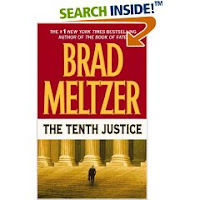 He also incorporates 9/11 and the world trade center attack as part of the story. Adam by Ted Dekker: Another of Dekker spine tingling thrillers about good and evil. "FBI behavioral psychologist Daniel Clark has been made famous by his arguments that religion is one of society's greatest antagonists. What Daniel does not know is that his obsessive pursuit of a serial killer known only as Eve will end in his own death at Eve's hand. Twenty minutes later Daniel is resuscitated, only to be haunted by those twenty missing minutes of life." These should keep me busy a while and keep Father from teasing me about all the Nora Robert books I have been devouring. We had an exciting, yet noisy weekend. The Blue Angels were in town for the Air show and the roar of airplanes for the past few days has been very distracting. We are a couple miles from the air field and had the planes flying over our house and around our neighborhood Thursday through Sunday. No - we didn't get much done in the way of lessons Thursday and Friday. 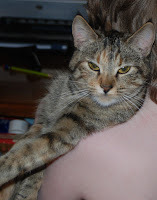 We took 100's of pictures with our new Nikon D80. Father had a blast clicking away. Our culdesac looked like a photographers convention with all the neighbors out with their long lense cameras shooting pictures. When I first heard about the ruling from the California Court of Appeals that they had declared that almost all forms of homeschooling in California was in violation of state law, I actually didn't give it much thought. What crossed my mind was there they go again. I knew the ruling would be automatically appealed and until such time that someone came to my door to tell me I could no longer home school my child, I would just keep on doing what I have been doing. Most would think it is lackadaisical on my part to not be concerned, but I really wasn't. I guess it comes from being familiar with the legal process and knowing that one courts decision is not the final word. The Home School Legal Defense Association has decided they will file an amicus brief on behalf of all their member families (which we are part of) to ask for a proper interpretation of the law and if that fails, ask that the decision be depublished. Depublishing the law means the decision will apply only to the family the lawsuit was brought against and not all home schoolers. HSLDA also has a petition on their website to sign in support of depublishing the case. The family is filing an appeal, as expected and in all things with the court system, will take some time. I found an article today in the LA Times about Governor Schwarznegger weighing in and declaring "
"Every California child deserves a quality education and parents should have the right to decide what’s best for their children. Parents should not be penalized for acting in the best interests of their children's education. This outrageous ruling must be overturned by the courts and if the courts don't protect parents' rights then, as elected officials, we will." I was surprised Jack O'Connell, superintendent of California Department of Education also spoke in support of home schoolers. However, I'm sure due to the fact that many celebrities home school or have their children tutored, their voices will have a big impact as well. Dr. James Dobson spoke about the ruling on his radio broadcast friday in defense of home schooling. I am confident the ruling will be overturned and life will go on as we know it. If you are a California home schooler and currently not a member of the Home Defense Legal Defense Association or any other association, now may be the time to join. Then you will have the confidence your rights are being protected. What am I supposed to be doing right now? Reading! 1 - Discuss Marlow’s journey and the significance of the characters he meets: the manager, the accountant, the brick maker, Mister Kurtz. Discuss how the journey is both a psychological and geographic exploration into darkness and evil. 2 - Discuss the theme of obsession with relation to the characters in the novel. My professor likes it when everyone starts posting replies to the discussion questions early in the week. I've already disappointed him (once again) because I haven't done it yet. But as of yesterday, only one person had posted responses so I think I still safe. After we finish discussion the book, we have to watch Apocalypse Now and discuss how it compares to the book. Should prove to be interesting. Today is H's 50th birthday. One of my technicians. He was rather grumpy last week and we all thought it was in response to the fact it's complaint season. Grumpy customers translate to grumpy technicians. Then I checked the calendar. AHA! That explains it. He always gets grumpy the week before his birthday and we always forget that fact; of course, until we check the calendar and are reminded. Selective memory, you know. I did something different this year and ordered a balloon bouquet for him. Totally took him by surprise and shocked him! We have had an unusually high amount of weirdness and complaints and just general moodiness lately from prospective and current customers. One was such a royal pain in the rear, Father gave him a refund and then the guy still had the audacity to call him back and complain some more. It's amazing how people will complain about prices and estimates, argue with you over it and try to tell you how to run your own business. Just a side effect of running a service business. Even though we have been in business for 20 years and have outlasted most of the other repair businesses in town and our technicians have over 30 years experience, people still try to tell us we are wrong. However, the weather has something to do with it. The first spring like day and all the depressives turn manic and come out of the woodwork. The spouse of one of our customer's works in the hospital and she confirmed people started going nutso just around the lunar eclipse. I experienced that when I worked in the DA's office years ago in the domestic violence division. Full moons and spring. Spring officially begins March 20th. However the clocks spring forward and we lose an hour as of 2:00 a.m. Sunday morning. When do you change your clocks (for those states that do daylights savings) Before you go to bed on Saturday night or after you rise on Sunday Morning? Father likes to wait until he gets up on Sunday which is why I change all the clocks in the house before I go to bed. Is it a man thing? Or just my controlling personality versus his wish I was in Hawaii laid back relaxed style. Hmmmm! 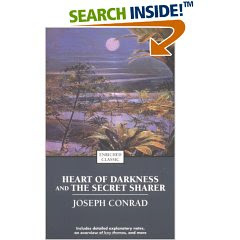 Off to fix dinner, (excuse me, my southern is showing), errr make dinner and attempt to read Heart of Darkness. Here is something to amuse and amaze and possibly annoy. "A Remembrance from Things Past" By Marcel Proust. Their honour precarious, their liberty provisional, lasting only until the discovery of their crime; their position unstable, like that of the poet who one day was feasted at every table, applauded in every theatre in London, and on the next was driven from every lodging, unable to find a pillow upon which to lay his head, turning the mill like Samson and saying like him: "The two sexes shall die, each in a place apart! "; excluded even, save on the days of general disaster when the majority rally round the victim as the Jews rallied round Dreyfus, from the sympathy--at times from the society--of their fellows, in whom they inspire only disgust at seeing themselves as they are, portrayed in a mirror which, ceasing to flatter them, accentuates every blemish that they have refused to observe in themselves, and makes them understand that what they have been calling their love (a thing to which, playing upon the word, they have by association annexed all that poetry, painting, music, chivalry, asceticism have contrived to add to love) springs not from an ideal of beauty which they have chosen but from an incurable malady; like the Jews again (save some who will associate only with others of their race and have always on their lips ritual words and consecrated pleasantries), shunning one another, seeking out those who are most directly their opposite, who do not desire their company, pardoning their rebuffs, moved to ecstasy by their condescension; but also brought into the company of their own kind by the ostracism that strikes them, the opprobrium under which they have fallen, having finally been invested, by a persecution similar to that of Israel, with the physical and moral characteristics of a race, sometimes beautiful, often hideous, finding (in spite of all the mockery with which he who, more closely blended with, better assimilated to the opposing race, is relatively, in appearance, the least inverted, heaps upon him who has remained more so) a relief in frequenting the society of their kind, and even some corroboration of their own life, so much so that, while steadfastly denying that they are a race (the name of which is the vilest of insults), those who succeed in concealing the fact that they belong to it they readily unmask, with a view less to injuring them, though they have no scruple about that, than to excusing themselves; and, going in search (as a doctor seeks cases of appendicitis) of cases of inversion in history, taking pleasure in recalling that Socrates was one of themselves, as the Israelites claim that Jesus was one of them, without reflecting that there were no abnormals when homosexuality was the norm, no anti-Christians before Christ, that the disgrace alone makes the crime because it has allowed to survive only those who remained obdurate to every warning, to every example, to every punishment, by virtue of an innate disposition so peculiar that it is more repugnant to other men (even though it may be accompanied by exalted moral qualities) than certain other vices which exclude those qualities, such as theft, cruelty, breach of faith, vices better understood and so more readily excused by the generality of men; forming a freemasonry far more extensive, more powerful and less suspected than that of the Lodges, for it rests upon an identity of tastes, needs, habits, dangers, apprenticeship, knowledge, traffic, glossary, and one in which the members themselves, who intend not to know one another, recognise one another immediately by natural or conventional, involuntary or deliberate signs which indicate one of his congeners to the beggar in the street, in the great nobleman whose carriage door he is shutting, to the father in the suitor for his daughter's hand, to him who has sought healing, absolution, defence, in the doctor, the priest, the barrister to whom he has had recourse; all of them obliged to protect their own secret but having their part in a secret shared with the others, which the rest of humanity does not suspect and which means that to them the most wildly improbable tales of adventure seem true, for in this romantic, anachronistic life the ambassador is a bosom friend of the felon, the prince, with a certain independence of action with which his aristocratic breeding has furnished him, and which the trembling little cit would lack, on leaving the duchess's party goes off to confer in private with the hooligan; a reprobate part of the human whole, but an important part, suspected where it does not exist, flaunting itself, insolent and unpunished, where its existence is never guessed; numbering its adherents everywhere, among the people, in the army, in the church, in the prison, on the throne; living, in short, at least to a great extent, in a playful and perilous intimacy with the men of the other race, provoking them, playing with them by speaking of its vice as of something alien to it; a game that is rendered easy by the blindness or duplicity of the others, a game that may be kept up for years until the day of the scandal, on which these lion-tamers are devoured; until then, obliged to make a secret of their lives, to turn away their eyes from the things on which they would naturally fasten them, to fasten them upon those from which they would naturally turn away, to change the gender of many of the words in their vocabulary, a social constraint, slight in comparison with the inward constraint which their vice, or what is improperly so called, imposes upon them with regard not so much now to others as to themselves, and in such a way that to themselves it does not appear a vice." Did you make it all the way through or lose your way, scratching your head, getting mad, confused, annoyed, and generally dismayed trying to figure out who, what, where, when, why and how? I'm still scratching my head. Thanks for playing. The dvd comes with both the old version and the new digitally remastered with extra scenes version. We watched the old version today and tomorrow we'll watch the new one and see what they added. In the newer version of Star Wars IV, they added a bunch of detail to Mos-Eisley spaceport with all kinds of alien animals and people in the background running around and additional detail to the bar scene. Just extra touches here and there. If you had never seen the movie before, you wouldn't know there were any differences. The movies are still as enjoyable today as they were 20 some odd years ago. Now I must go--- I just figured out why I haven't been blogging for the past couple weeks. 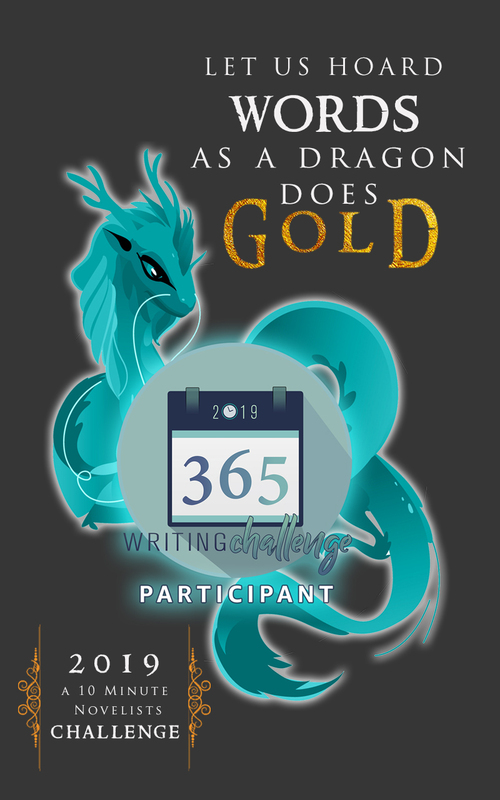 James is constantly hovering wanting to see what I am doing and wanting me to type up his Godzilla blog stuff, plus I can't think and type when someone is looking over my shoulder. Yes, I have already yelled at him twice. Literal Son says "I'm not a helicopter"